On January 19th, 2018, over the course of four hours, 53 students, in both graduate and undergraduate studies, filtered through to begin their applications for SNAP benefits, otherwise known as food stamps. Application processes can be intimidating. As we heard from one student, “I’ve attempted to apply before but never completed the application due to not being sure about some of the answers.” To help with the application process three SNAP experts from the OSU Extension SNAP Outreach team and the Oregon Department of Human Services were on hand to assist as needed. 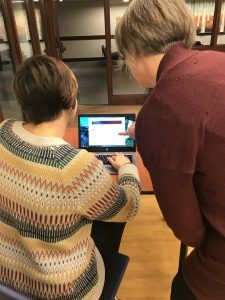 Staff had both paper applications, and provided laptops so students can complete the online application if that was their preference. A DHS representative helps a student apply for SNAP benefits. Roughly 36% of OSU students reported not having enough financial resources on the 2017 Campus Inclusivity Survey. While the average student attending the event applied for benefits only for themselves, at least 5 students who responded to our follow-up survey applied for benefits for a household of two or more people. One student shared through the survey: “This was such a helpful event. I kept on putting off doing the paperwork and was worried I wouldn’t get benefits. Any questions I had were answered and I don’t have to worry as much.” Eligibility qualifications for students can be confusing, so having staff available to assist was key to the successful event. Food was provided at the event, and 323 KIND granola bars were distributed, each affixed with stickers promoting event details prior to the 19th. 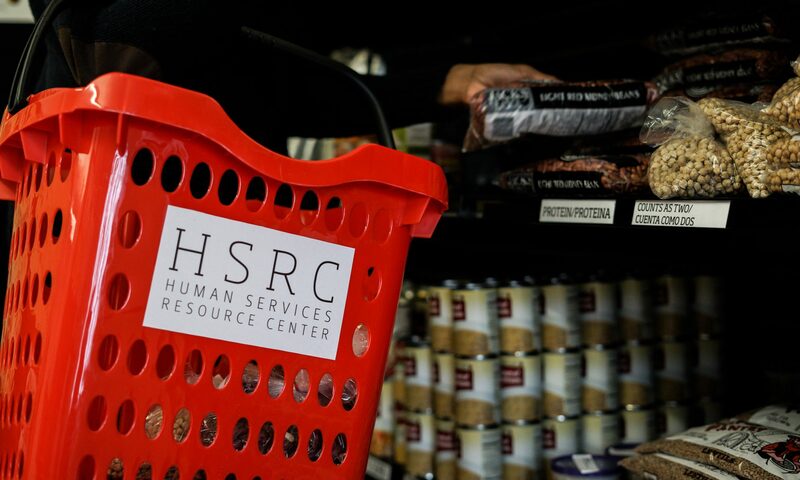 An important value of the HSRC is abundance of resources, especially in regard to food. The HSRC sees the need many students experience in the form of increased Food Assistance Application numbers. Increased attendance at the multiple monthly food pantry nights at Avery Lodge, and term by term growth of the Textbook Lending Program also illustrate the growing need of students. Providing food at the event ensured that everyone who came by, at least got to eat lunch for the day. Through the efforts of the HSRC and SSI, the students who attended “One Snap, Get SNAP” could, combined, receive upwards of $50,000 in grocery money over the course of the next six months (approximately $157 per month per person, though individuals could be eligible for up to $189 per month and those with families or dependents could see even more). While not a permanent fix to student hunger, programming and outreach for SNAP benefits helps provide students with resources that better allow them to focus on school. Providing access to these community resources on campus, where students spend a lot of their time, helps make the process for applying for SNAP benefits easier. When students aren’t worried about where their next meal is coming from they are better able to concentrate on school and make the most of their education, further enriching themselves and their communities.